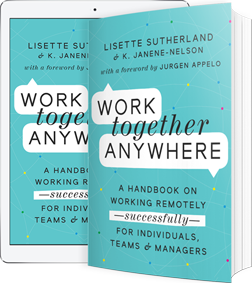 I cowrote, edited, codesigned, formatted, indexed, and produced both print and eBook versions of Work Together Anywhere: A Handbook on Working Remotely—Successfully—for Individuals, Teams & Managers with my coauthor, Lisette Sutherland. For more, check out my Work Together Anywhere WIX BOOK SITE. I have edited and/or proofread book-length works by such notable authors as Wendell Berry, Shulamith Hareven, William Hjortsberg, Leonard Michaels, Pierre Michon, and Tova Reich, as well as short pieces by Paul Auster and Ishmael Reed. Elizabeth Lombardo, “6 Signs You’re a Perfectionist,” EverydayHealth.com, 1 October 2014, adapted from Better Than Perfect: 7 Strategies to Crush Your Inner Critic and Create a Life You Love (Seal Press). Rabbi Avi Weiss, “Remembering the Carnage and Crises of the Crown Heights Riots,” Forward.com/Scribe , 2 November 2017. Both part of the fashion exhibit Teatro alla Moda: Theatre in Fashion at the Wallis Annenberg Center for the Performing Arts, 14 October 2011–18 March 2012, Beverly Hills, California. “You have an ear. In one spot you said ‘This feels stuck in…’ It was. I felt like I’d been caught. It told me you know tone, and your sense of when something feels out of sync is perfecto!